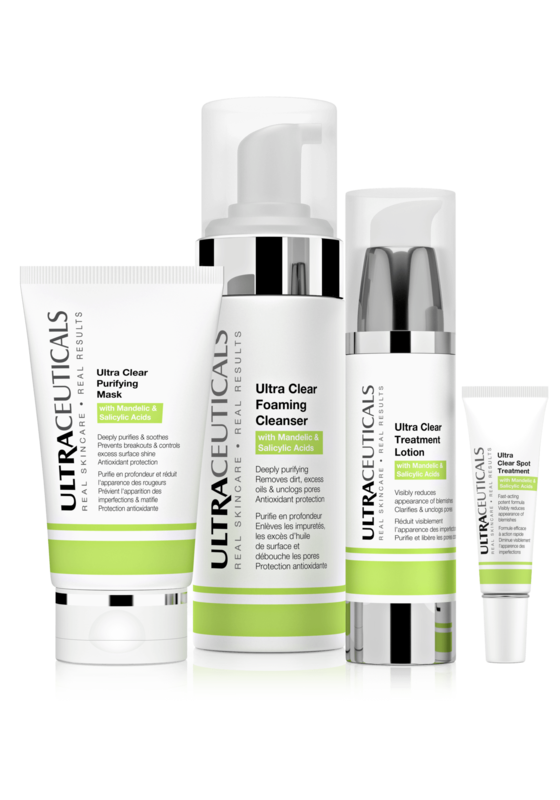 The Ultra Clear Range combines powerful exfoliators with antioxidants and skin-soothers in a synergistic formula to target all stages of the acne cycle and visibly improve skin affected by congestion, breakouts and associated inflammation. Lightweight, foaming cleanser to help regulate excess sebum production. Works to remove dirt, debris, makeup and excess surface sebum to aid in the prevention of clogged pores and leave skin refreshed. 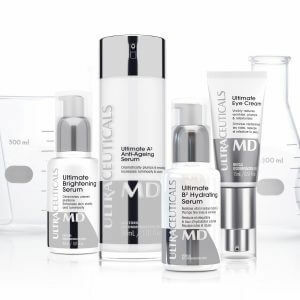 Utilises a blend of active ingredients to target congestion, clear blemishes and help prevent future formation. Clarifying clay mask helps to absorb and dissolve excess sebum, clear congestion and soothe the skin. The non-drying formula works to restore skins lipid barrier function, leaving skin feeling soft, smooth and balanced. Fast-acting spot treatment helps to clear up pimples and reduce associated redness. This powerful formula quickly calms flare-ups and is formulated to prevent future breakouts.